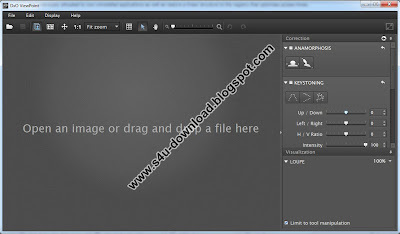 DxO ViewPoint 1.1 Build 50 (x86/x64) is the first software solution entirely dedicated to correcting distorted elements on the edges of your photos, and to fixing problems with keystoning and tilted horizons. Thanks to the precision and simplicity of DxO ViewPoints tools, you can quickly and easily restore the natural proportions of the subjects in your images by integrating the power of DxO Labs exclusive geometric correction technology into your usual image processing workflow. Recreate the original shapes of buildings. Converging vertical and horizontal lines once again become parallel, unnatural-looking faÃ§ades regain their normal appearance. This feature helps you restore a natural look to your landscape, architectural, and urban photos. 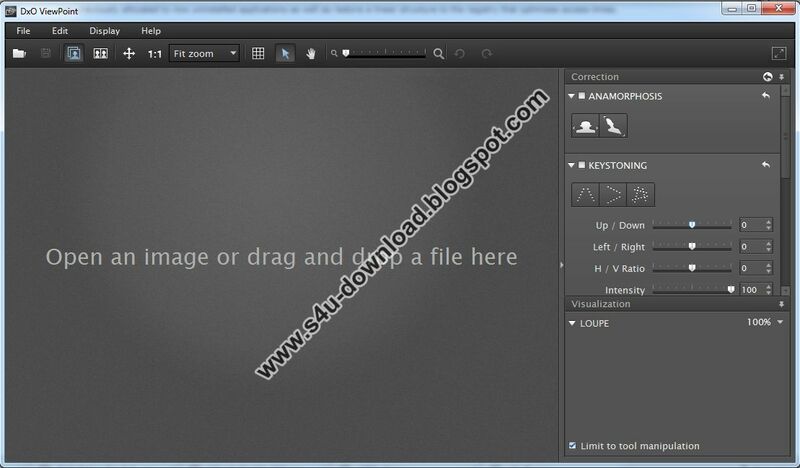 Restore the natural proportions of the people on the edges of your photos in just one click. DxO ViewPoint automatically corrects stretched-out faces or distorted body shapes that can occur when you shoot with a wide-angle lens (a phenomenon known as volume anamorphosis). This exclusive feature from DxO Labs, adapted to your specific equipment, is particularly useful for group or wedding photos. 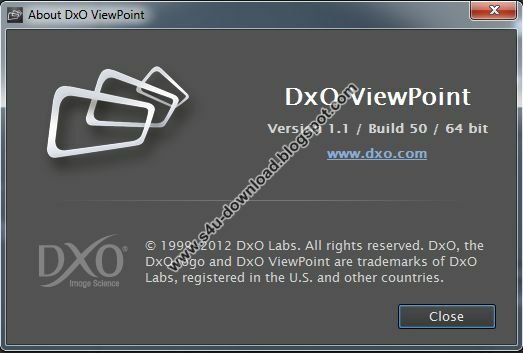 DxO ViewPoints explicit tool icons make it easy to identify all the features and functions of the software. 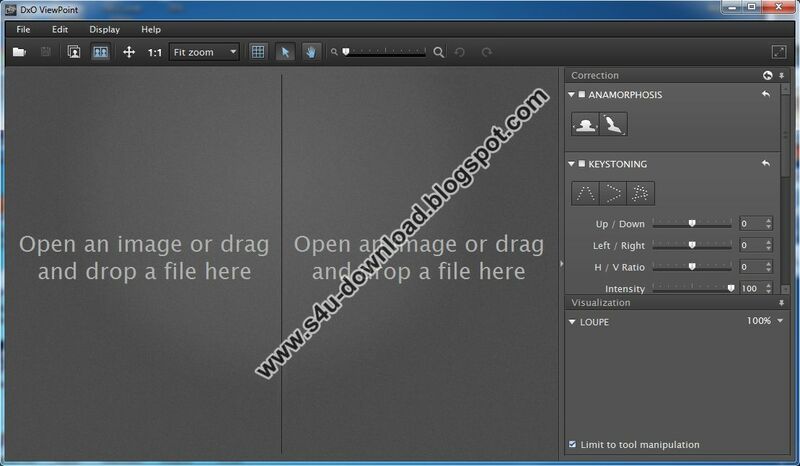 Preserve your work environment and your reflexive work habits while enriching your Adobe solution. Used as a plugin, DxO ViewPoint integrates seamlessly with Adobe Photoshop CS and with Adobe Photoshop Lightroom. Open an image in your compatible host application and apply your your usual settings. Then launch DxO ViewPoint directly from the Filters menu in Adobe Photoshop or from Photo in Adobe Photoshop Lightroom. Make your corrections and save your changes, and voil your host application now displays your modified image! DxO ViewPoint is optimized for use with Adobe Photoshop CS3, CS4 (32 & 64 bits), CS5 (32 & 64 bits), CS6 (32 & 64 bits) and Adobe Photoshop Lightroom 3 and 4.